Tart cherries are available in fresh, frozen, cherry juice concentrate, dried and powder. In addition, tart cherries make an excellent addition almost any recipe. The ruby-red fruit was once only known as an ingredient for pie, however, thanks to advances in food science it has been discovered it offers much more than simply great taste. 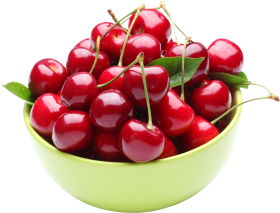 The most popular type of cherry for pain relieving properties is the Michigan-grown, Montmorency tart cherry. The reason this specific type of cherry is found to be among the most beneficial when it comes to health benefits is due to the presence of anthocyanins. This flavonoid is responsible for the anti-inflammatory benefits including ability to relief sour muscles, help with joint pain and other anti-inflammatory benefits. In addition, the tart cherry is one of nature’s leading sources of naturally melatonin. This means enjoying a glass of cherry juice or tart cherry capsules before help may help in a more restful night’s sleep. Tart cherries are a very perishable fruit so they are only available a few short weeks during the summer harvest season. They are harvested from mid-July through Mid-August. It is during this short season that you’ll be able to enjoy the fresh fruit. Fresh Montmorency tart cherries have a very unique appearance. They are a bright red hue and usually smaller than the sweet cherries. The photo of the cherries in the bowl at the top of this post is a photo of Montmorency tart cherries. As the cherries are processed into different cherry-based products frozen cherries can also be used for cooking and baking. The frozen cherries are whole IQF (Individual Quick Frozen) and available in 1 lb. or 5 lb. bags from your local grocery store. This type of cherry product is fast becoming the drink for choice for those looking to fight gout and arthritis pain naturally. The reason is it takes the juice of 100 cherries to make just one ounce of the cherry juice concentrate. The concentrate is then mixed with water to make a 100% pure glass of tart cherry juice. In addition, many people also use the concentrate in recipes including pies, drinks and other creative ways to enjoy the great flavor. The dried fruit is available in both natural and sugar infused. The natural dried fruit, means that nothing is added to the fruit, while the sugar-infused dried fruit usually is infused with sugar and light coated with sunflower oil. The difference between the two is vast. The natural fruit tastes like it was just picked from the tree and you get to enjoy all of the robust flavor of the cherry itself. The sugar-infused type has sugar added to help to offset some of the tartness of the Montmorency cherry. In addition, the sugar helps to keep the fruit retain moisture, thus helping it to remain moist on the inside of the fruit longer than the natural or no-sugar added cherries. Also, the sugar helps to plump out the cherry, too. However, sugar is cheap and the fruit isn’t. So if you’re looking for more tart cherries per pound, look for no-sugar added cherries. Where are Tart Cherries Grown?